There are a plethora of note taking apps in Google Play as we speak, but today Google launched their own official app into the fray. 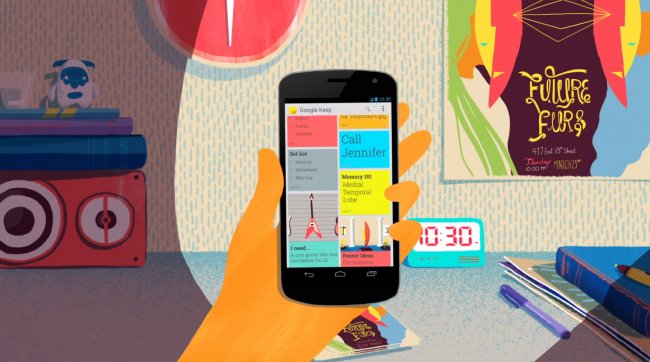 Google Keep looks to merge the awesome usefulness of sticky notes with Google’s Holo style into an app that will help you organize your life. Add in pictures, checklists and even take notes by voice, you will definitely want to check out what Google is offering. What’s even better is the fact that Google throws your sticky notes into the cloud, and stores all of them in your Drive account for safe keeping. You can also access them on any computer from the webpage they have set up. Voice transcription works well with the app and Keep can also create notes when you tell Google Now “make a note for…”. Does this look polished enough to get you to leave your note taking app of choice?